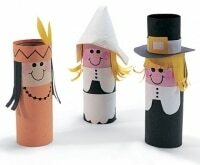 With the calendar flipping to January and the temperatures plummeting outside, tis’ the season to stay bundled up indoors. Besides fireside embers and mugs of hot cocoa, there are other elements you can bring into your home to create an inviting and snug atmosphere. 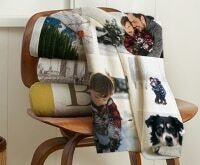 Chunky knits, cozy furs, and woolen felt are not only textures that conjure up warm feelings, but also add major visual interest to your home’s décor. 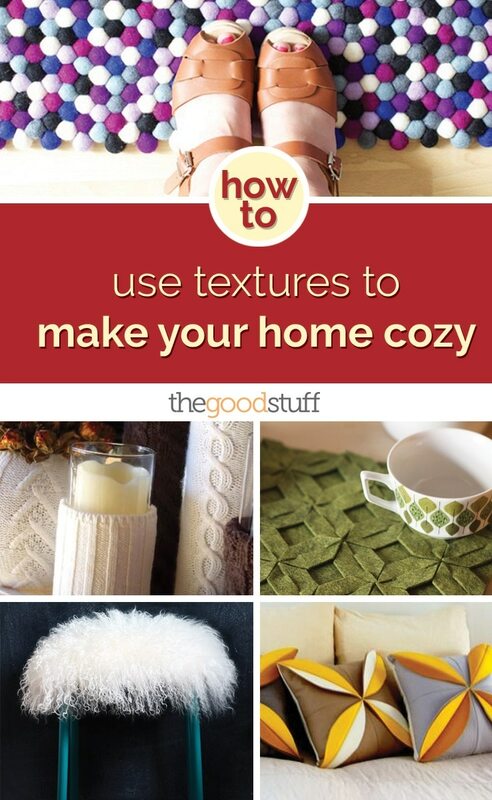 Check out these 18 inspirational ways to infuse warm winter textures to make your home cozy this winter. Chunky cable blankets, stitched pillows, and other accessories made of yarn instantly create a warm and comforting abode. 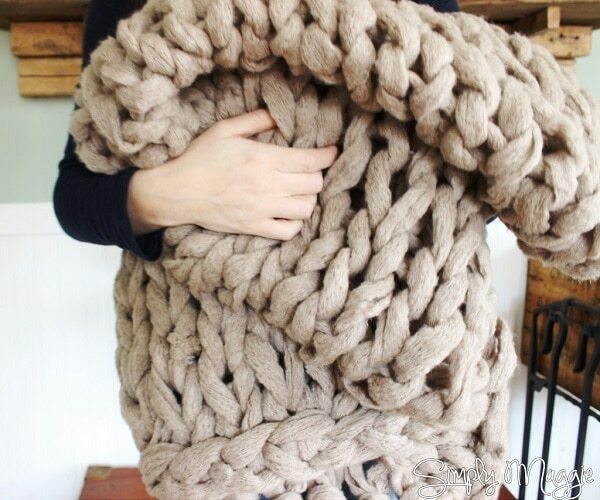 Using heavy-weight yarn, arm-knit yourself a chunky blanket, perfect for cuddling and reading under. You don’t need to know how to knit, and this one comes together in just 45 minutes! 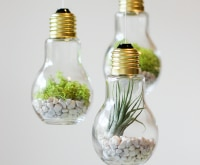 Outgrown or thrift-store sweaters can be repurposed into a variety of home décor items! 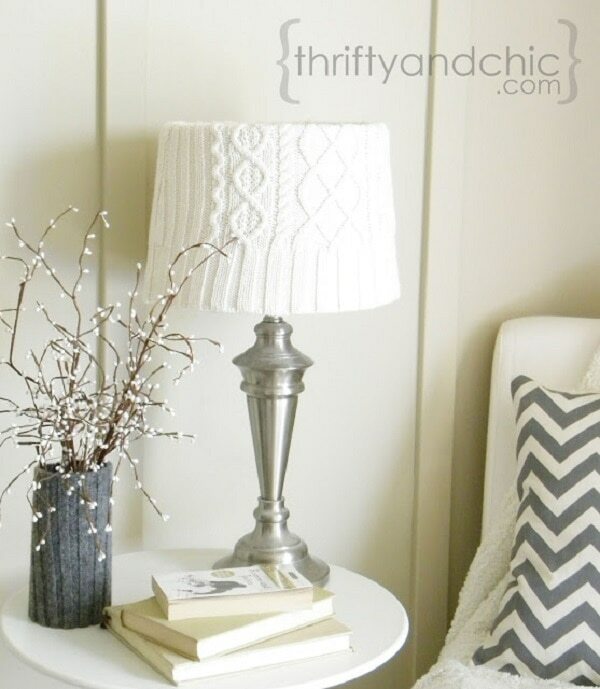 Use hot glue to attach an old sweater to a lampshade to cozy up your favorite reading nook. 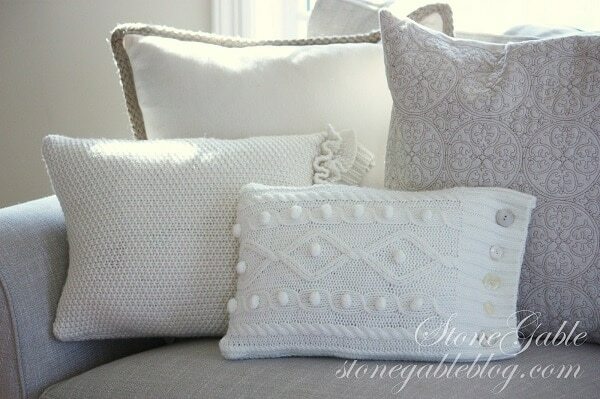 Knit pillows add instant texture and comfort to a couch or reading chair. 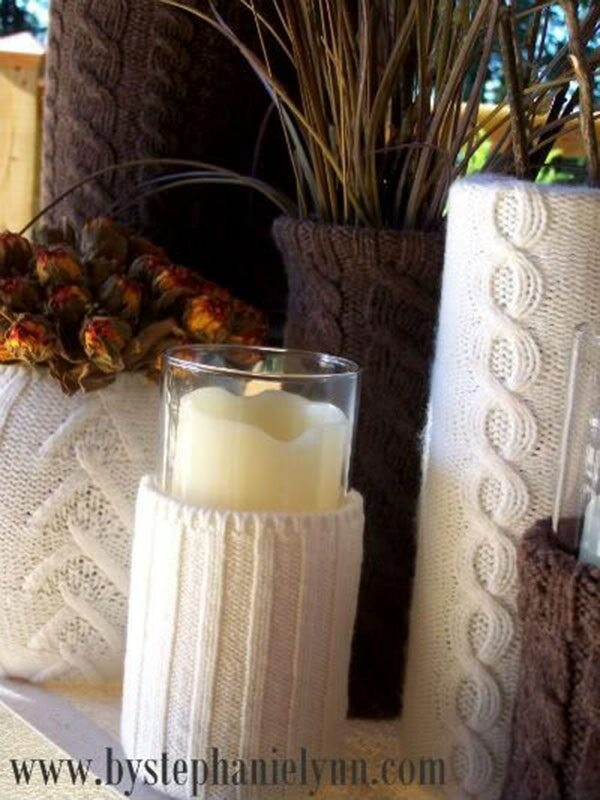 Re-purpose old sweaters in a variety of colors and patterns to add maximum visual interest. 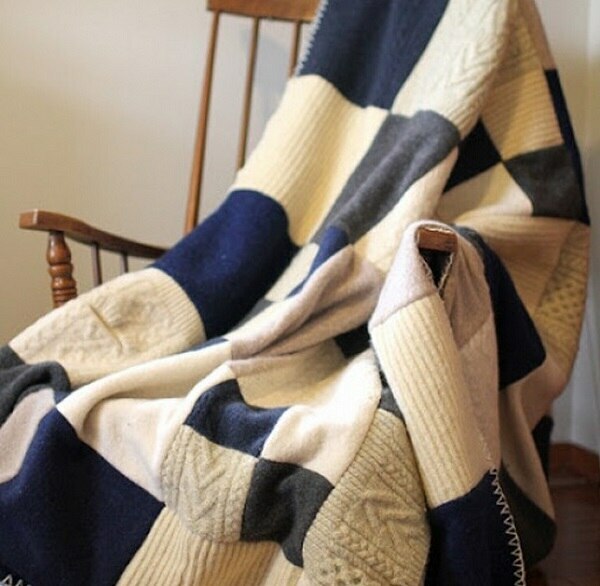 If you want a large cable blanket but don’t know how to knit, consider sewing a bunch of old sweaters together to create a knitted quilt! 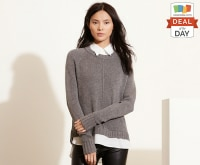 Nothing conjures up warm feelings more than candles and sweaters. 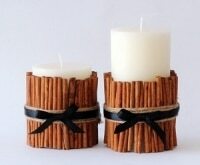 Combine the two to give any room a warm, soft ambiance. 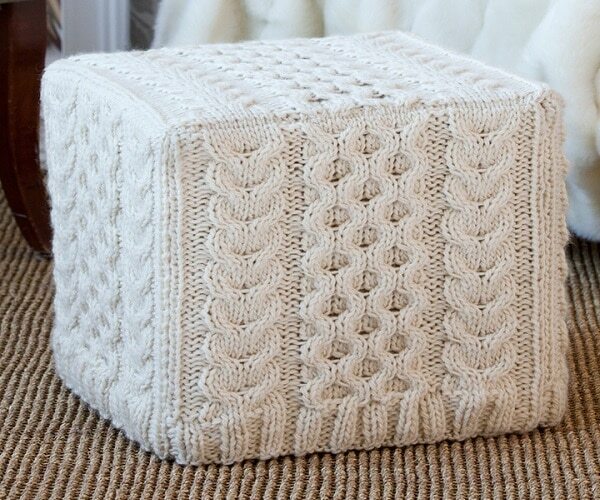 The more ambitious knitter can take on this knit ottoman cover, perfect for the winter months and then removable once the outside temperatures warm up! 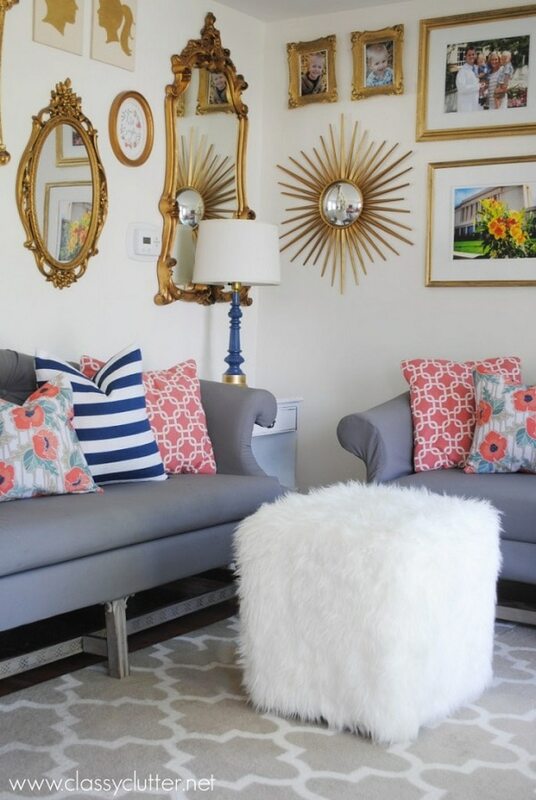 Fur accents, even done in the smallest of doses, invigorate any space by adding warmth, texture, and dimension. With a variety of sizes and colors available, fur can be incorporated with almost any design style! 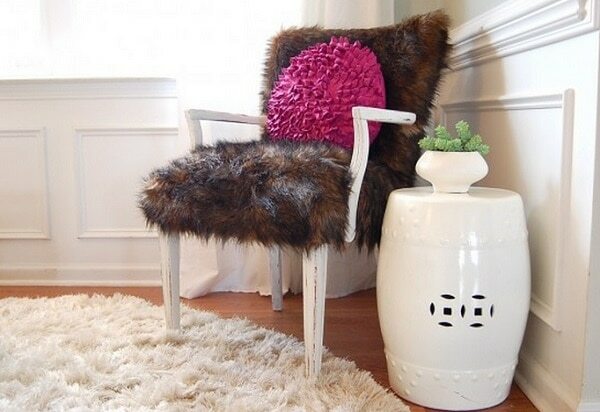 Create a soft spot to land right inside your door by covering a basic bench with a faux fur throw. Customize the colors and pile to suit your style. Small fur throws or fur fabric remnants can be easily sewn together to make soft and feathery pillows for any spot in the house! Just a hint of fur can help cozy up an otherwise boring room. 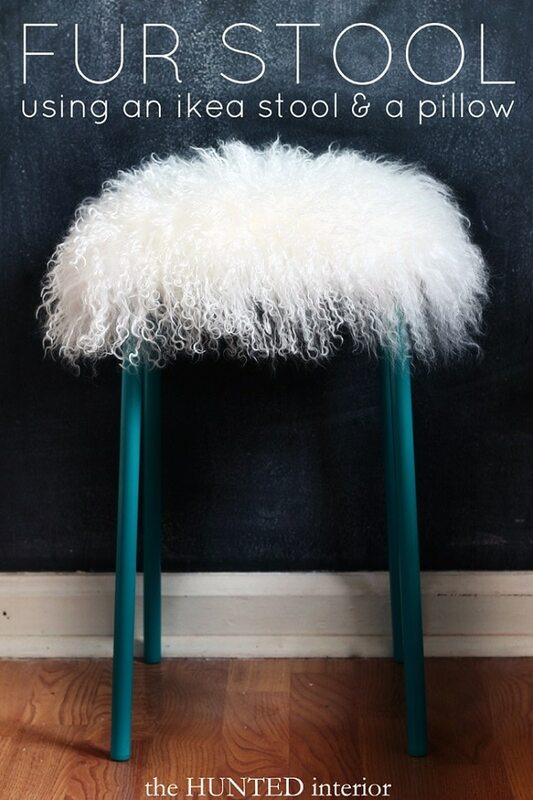 A fur pillow atop a stool is the perfect way to add in this texture for the fur-shy homemaker! Faux fur can be bought on the bolt at almost any fabric store. Use this tutorial to sew up an ottoman slipcover, perfect for keeping feet toasty while reading on the couch. 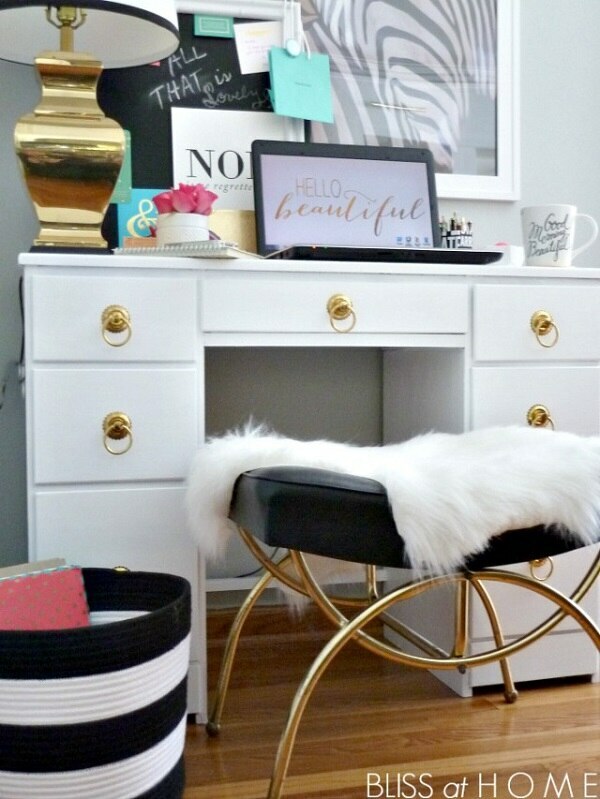 Adding fur to your space doesn’t have to require commitment. 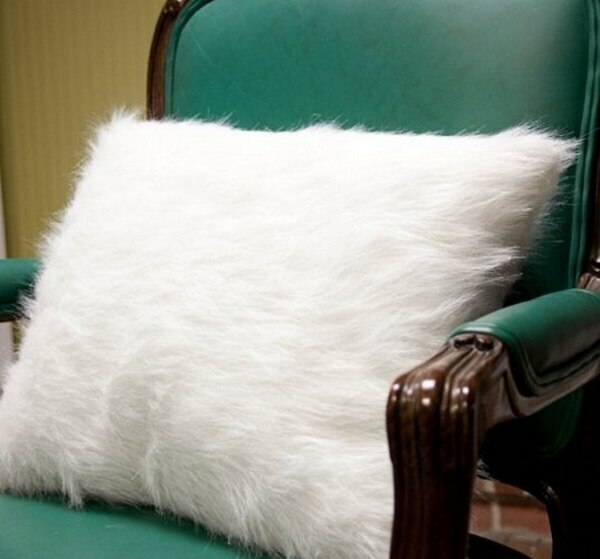 Even just mini fur throws placed intentionally over chairs, stools or couches add the right dose of this texture. If you’re ready for a more permanent fur accent, consider upholstering a thrift-store chair in the warm and cozy textile! Nothing makes your home cozy more than wool felt; and since it’s oh-so-easy to work with and available in an array of styles and colors, it’s the perfect medium for adding layers of texture to your space. 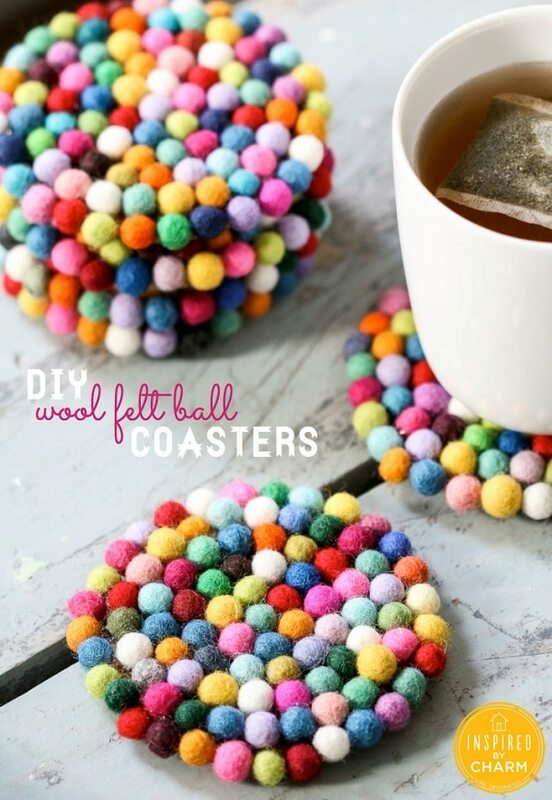 Small felted balls in candy-colored tones make for the most adorable coasters. 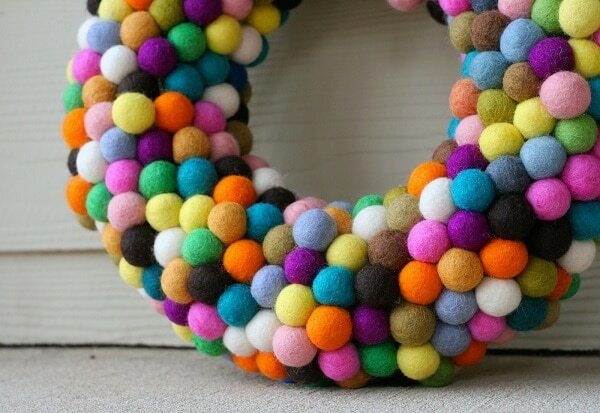 Buy felted balls in bulk to make this fun and interesting wool wreath, perfect for a winter mantelscape. 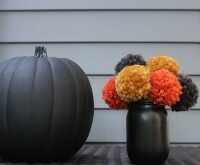 The possibilities for felted balls are endless. 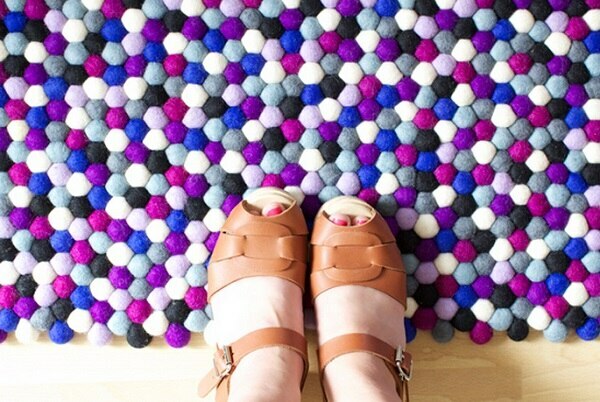 Combine an interesting collection of colors to create an accent rug for any small nook in your home. 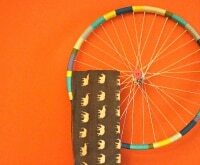 Sheets of felt don’t need to be hemmed and they hold their shape beautifully, so they can be glued and sewn into an array of interesting patterns. 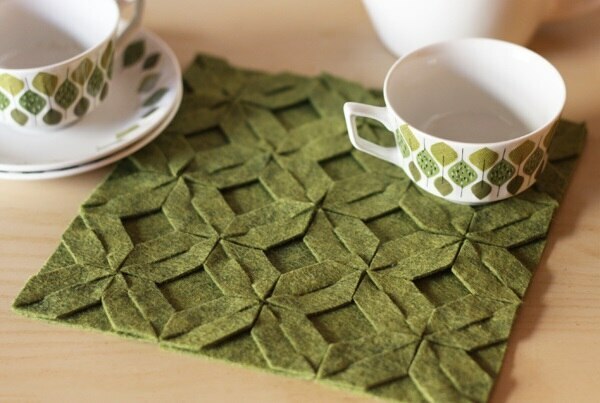 Use this tutorial for making a variety of trivets and coasters for your next brunch or coffee date. 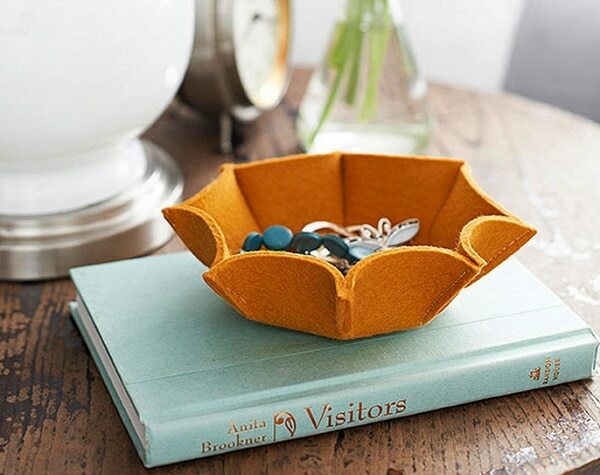 Felt can be glued, sewn or molded into endless shapes, making it the perfect medium for creating bowls and trays to hold small household items! 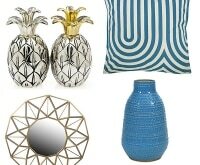 Just a few small accessories can transform your bedroom for the winter months ahead. 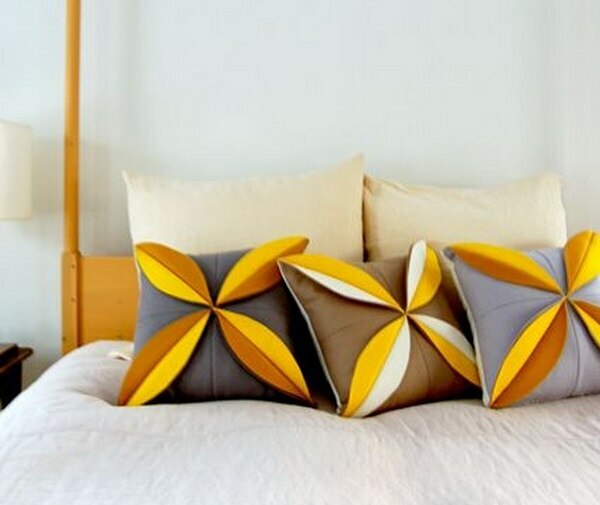 These felt flower pillows are the perfect way to make a comfortable landing spot for the end of the long, cold day.